Over the last few years, I've kindled a love for poutine. For the same amount of time, I had no idea it was dish heralding from Canada. It took me awhile to wrap my head around the fact our neighbors to the Great White North brought us this magical french fry delicacy AND my all-time favorite band, Rush. For the uninitiated, poutine consists of french fries, topped with cheese curds and brown gravy. If you've never heard of it, fear not, it's beginnings trace back to various starts in the 50's and 60's, and it's only been in the Merriam-Webster Collegiate Dictionary since 2014. I forget where I first experienced poutine, but I do know it's always felt like an old friend. If the name didn't strike a bell, the menu description of twice baked potatoes topped with luxurious brown gravy covered with cheese curds certainly did. It's not an appetizer. It's a meal. Locally, there are two places with poutine on the menu. Now there are three if you count my backyard. Like all things, poutine is riffed left and right. Mine is no different, as not only is it grilled, it has lobster. Like I said, it's a meal and an utterly satisfying one at that. Thank you, Canada. I salute you. 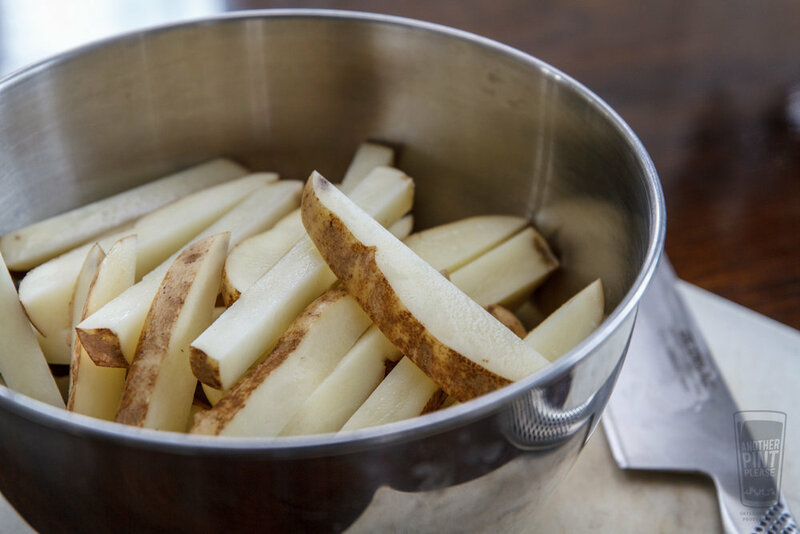 Cut the potatoes lengthwise into halves, quarters, and eighths to yield half-inch thick fries. Bring a large pot of water to boil. Place the potatoes in the boiling water and cook for 4 minutes. Immediately drain into a colander and flush with cold water to stop the potatoes from cooking. Place the potatoes on a wire rack and pat dry with paper towels. Time for a roux! 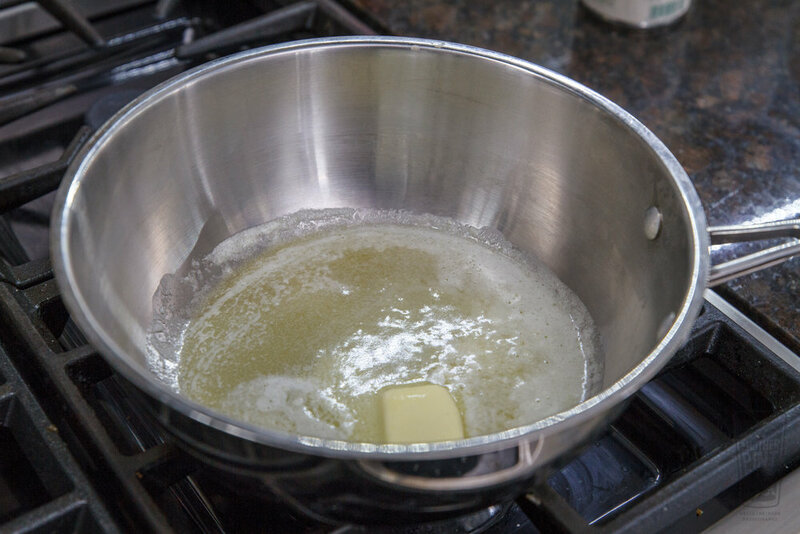 In a large skillet over medium heat, melt the butter and whisk in the flour. Continue to whisk until the roux turns light brown, about 5 minutes. Add in the lobster stock. Bring to a simmer. Continuing to whisk frequently, until the gravy begins to thicken, about 10 minutes. Season to taste with salt and pepper. Reduce heat to low and keep warm. Be careful, as the gravy will continue to thicken. Prepare the grill for indirect medium heat (350° to 450° F). In a large bowl, combine the olive oil, cornstarch (used to help crispen the fries), salt, garlic, and pepper. Add the potatoes. Cover the bowl with plastic wrap and then shake the bowl to coat the potatoes. Grill the potatoes over indirect medium heat until crisp, approximately 20 minutes. If you decide to add some wood chips, only add a few, as the parboiled potatoes can quickly take on too much smoke creating a bitter taste. Prep the lobster tails by cutting down the shell and slicing through the flesh to open them like a book, as seen in this video. Prepare a grill for direct medium heat (350° to 350° F). 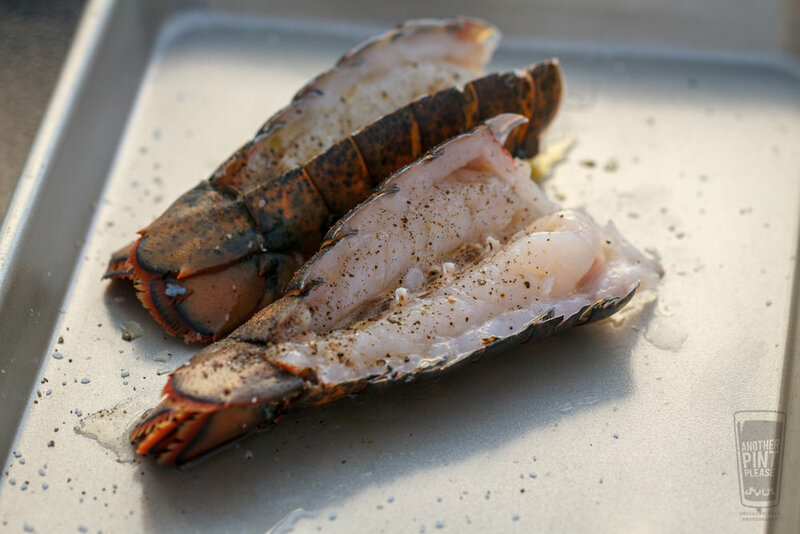 Brush the lobster flesh with olive oil and season with salt and pepper. Grill flesh side down over direct medium heat for 5 minutes. 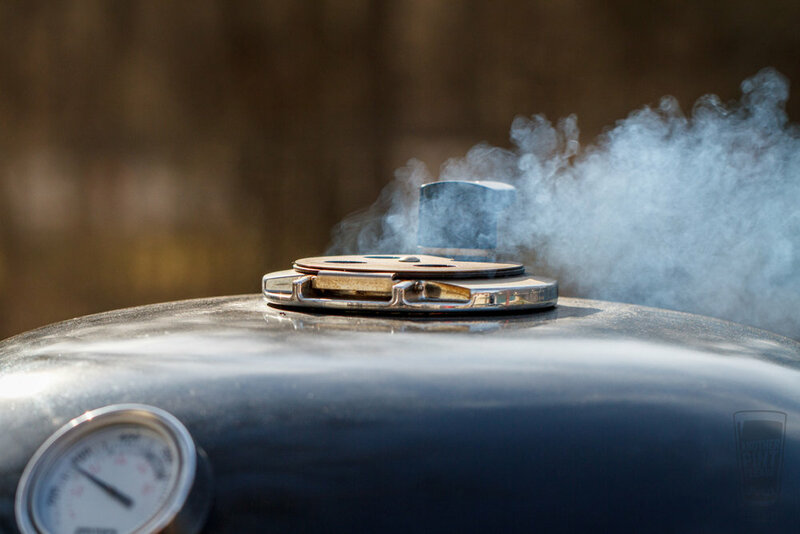 Flip and continue to grill until the flesh is firm and opaque and the internal temperature reads 145°F with an instant-read thermometer, about 4 to 5 minutes more. 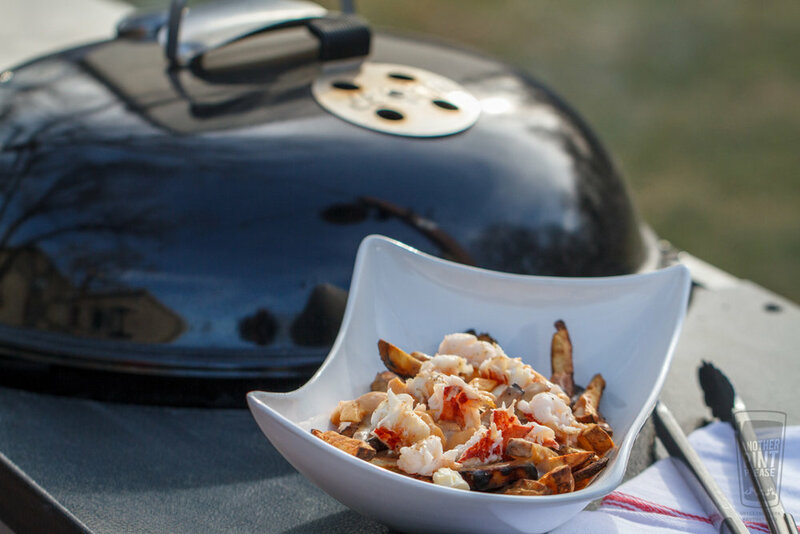 Remove the lobster meat from the shells and roughly chop. Place the fries in a bowl. Cover the fries with gravy and cheese curds. Top with lobster. Enjoy.